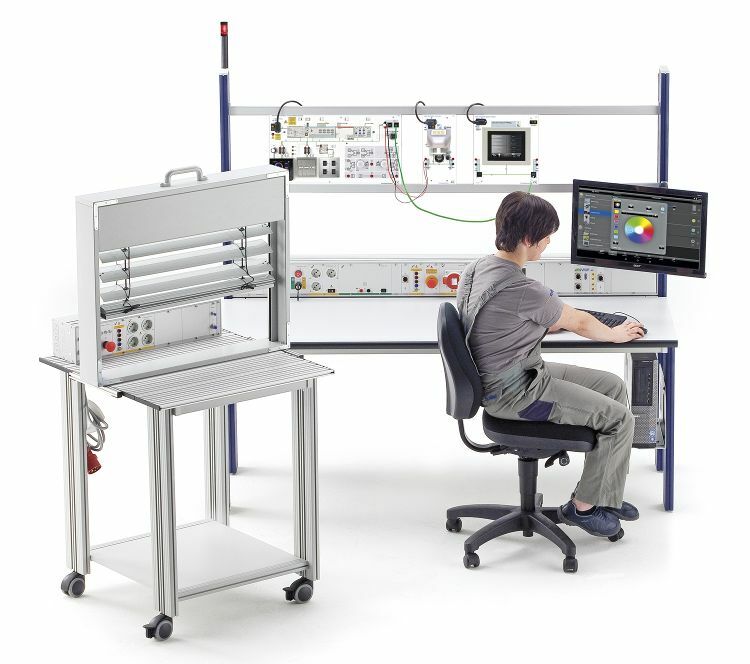 Since its foundation in1997, the ETS DIDACTIC GMBH has been developing didactic training system for die electrical engineering, electronics, automation and control technologies. New and complex challenges as e.g. the industrial revolution ­– Internet of things - industry 4.0 have been taken up comprehensively by ETS. ETS presents its flexibly expandable didactic training systems covering this topic in a state-of-the art manner with regard to both - technology and courseware. Training systems covering fundamental topics or higher levels of education in the field of electrical engineering / electronics – you are on the right track with us. ETS covers industrially relevant training topics for basic and further vocational trainings as well as studies. In addition to the fundamentals of electrical engineering/electronics this also includes power electronics, reactive power, compensation, electrical drives and motors, control engineering, control and automation technologies, robotics and IIoT. The courseware for all our products will assist you in all matters of your occupational routine as teacher, trainer, or instructor. So, our courseware can be ordered as a three-piece package consisting of the Instructor’s and Student Manuals as well as presentations for medial support in class. ETS DIDACTIC are sure they've got the right solution for you.